Do you ever feel like your team or business is struggling, but aren’t sure how to approach the problems that you have? You might want to try a SWOT analysis. A SWOT analysis examines the strengths, weaknesses, opportunities and threats that a business faces, and it’s a great way for your team to sit down and figure out what to do about it. Aside from the advantage to employees and managers, SWOT also helps investors see the likely risks and returns of a given venture. Investors want to know more than hopes and visions; they want to know how physical, human and intangible assets such as brand name recognition will be used to drive growth. Here, we go over what SWOT entails, how the analysis can be used by team leads and project managers, and general execution strategy of SWOT-based reforms. Generally, strengths and weaknesses are under a high degree of control by management and employees. Note, however, that control doesn't mean ease of implementation. Internal processes can be notoriously complex, especially if rooted in an organization's culture. Also professional censure and personal risk aversion steer employees and leaders towards smaller, incremental and perhaps ineffectual changes. Bold reforms, while optimal on paper, come with challenges and pitfalls that can be hard to overcome. Opportunities and threats address the market and financial environment outside the business. The key in dealing with opportunities and threats is identifying likely profit drivers and hazards and attempting to steer business marketing and operations accordingly. Reforms with respect to SWOT externals present a more volatile risk/reward profile. Here, it’s important not to punish occasional bad performance since doing so will dampen the kind of creativity and drive required for success in dealing with SWOT externals. A team leader or project manager would be wise to divide employees into two groups. The first should specialize in understanding business internals such as operational processes, channels of influence, and staffing needs. The second group focuses on team members who lean more towards knowledge of the market, sales strategies, customer needs, financials, and competitors. Have internal employees focus on expanding the strength and weakness aspects of a SWOT analysis, while external-focus employees focus on threats and opportunities. 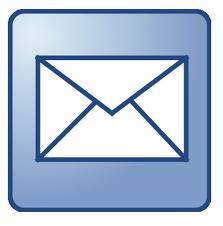 Then, combine your findings into several improvement plans. Analyze the risk and likely rewards of each feasible improvement plan. Begin by executing a relatively low-risk improvement plan, but don't neglect the possibility for phenomenal growth. Remember that higher-risk projects could pay off greatly, but be careful not to confuse established internal operations or customers about business goals and core competencies. 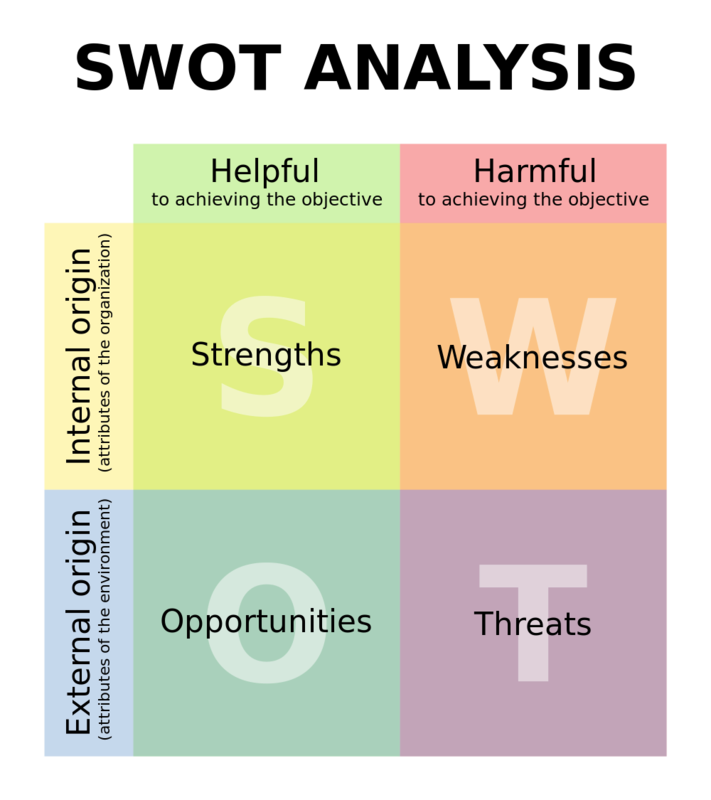 SWOT is not a cure-all, but it is very useful in assessing likely business success and, in fact, can be useful in nearly any discipline. Someone pondering a new career can draw up an analysis of personal strengths and weaknesses as well as identify where in the labor market those combined personal traits would carry the greatest reward and/or present the least risk. For example, an introvert would not be wise to go into commission-only sales, nor would someone without a head for numbers be well-served by investing in graduate-level physics courses. 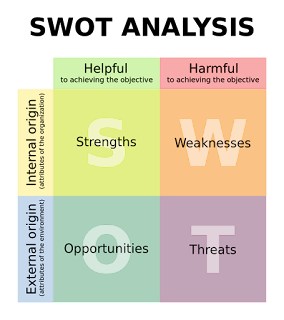 SWOT analysis is not perfect, but it is useful in many aspects of life including business management. Rachel Stires is a media relations specialist for the Management Training Institute. She enjoys talking about trends in management and how industry leaders can make the most of the opportunities available to them.